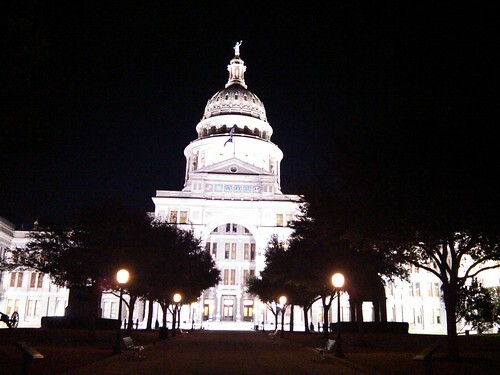 The Capitol is beautiful at night! I used to sit on these steps when I was a student at UT. So nice and quiet, and you could look down Congress Ave. and watch the lights change. What were we doing here? Nicholas and I came here to celebrate our Special Day!